Most websites are 2 megabytes and load at an infuriating speed. Today’s user simply does not have the time for long page-load. A website should load within 3 seconds or you run the risk of losing a potential customer. That’s why a skilled web development company will utilize Progressive Enhancement, to ensure that a website loads quickly and maintains a user’s attention, while still being able to be heavy with content and images. In 2016, 855-Webmaster developed a fully functional website, with animation, that was under 10KB. Progressive Enhancement is not a new concept. It’s been practice since the early days of web development. However, with today’s advancement in mobile technology and content-heavy websites, it is once again a hot-topic in web development. Progressive enhancement is a web design practice that uses prioritization to expose the most integral pieces of a website to a user first, based on their browser and/or device, and then serve the additions or “enhancements” to the site, if it is determined that user can view it. Essentially, the website will deliver the basic elements of a website to a user that is using an older computer with an outdated browser, but a full, feature-filled website to those users viewing it on a state-of-the-art machine and updated web browser. The purpose is to have the website load fast for both users. In simple terms, progressive enhancement has websites load light at first, and then based on available resources, more and more of the website fills out. Progressive Enhancement presents websites to the user in layers, serving content and functionality in order of importance, based on the user’s device. It involves utilizing CSS to give the website a flexible page layout, and is an integral part of Responsive Web Design. The objective is to provide users with content and basic functionality if their device is not yet supported, while providing other users with an advanced experience. Both users receive the core message of the website, but the videos, images, and other memory-heavy elements are hidden from the basic user. Responsive Websites adapt in function and layout to present the website to the user in the fastest, most user-friendly way possible. It is more than just “fitting a website to a screen,” it is actually modifying the website menus, images and other elements to adapt to the user’s device. 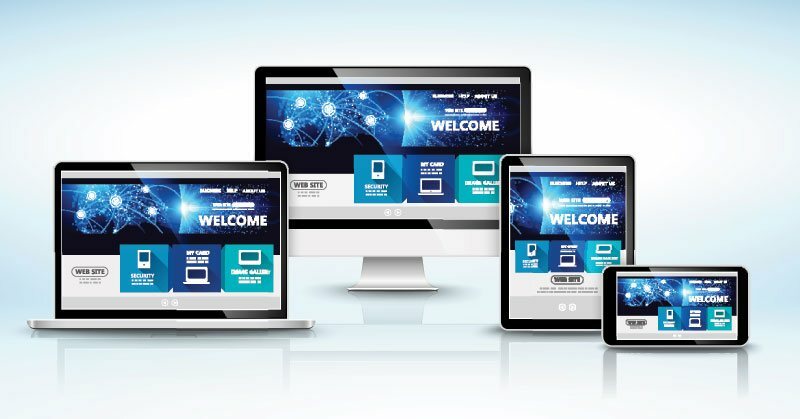 Responsive Web Design is a forward-compatible method of web development, meaning it will present a website to any of today’s current smartphones, but also adjust to meet the screen size of future mobile-devices. It is not limited to a list of Compatible Browsers or Devices, it actually adapts and evolves to keep pace with technological advancements. For responsive web design that utilizes progressive-enhancement, contact 855-webmaster.